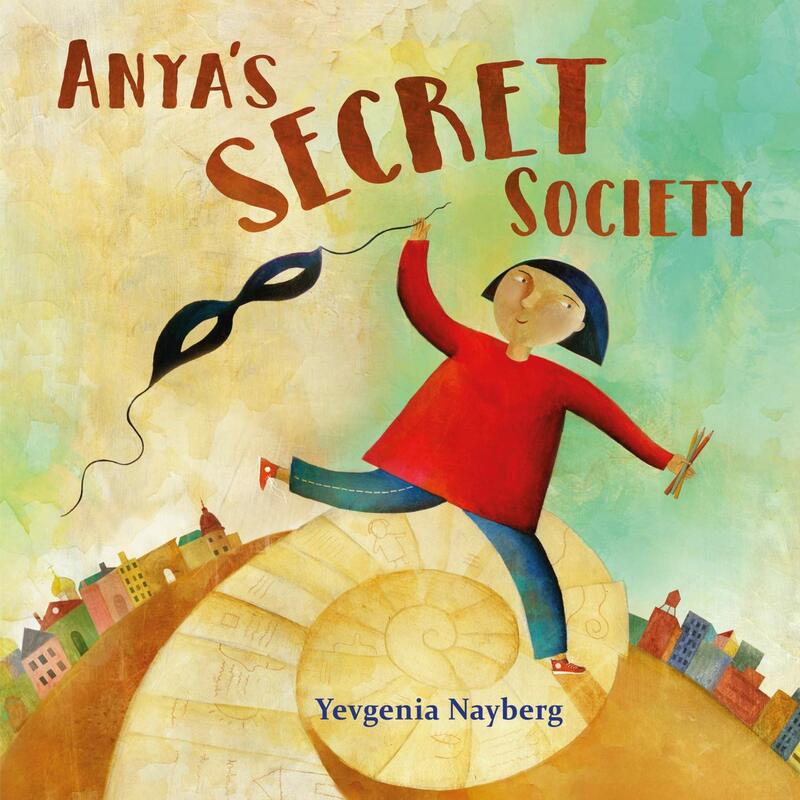 Illustrator and Author Yevgenia Nayberg debut picture book titled, ANYA’S SECRET SOCIETY, hits bookstores on March 12th. Yevgenia has agreed to share a book with one lucky winner. All you have to do to get in the running is to leave a comment. Reblog, tweet, or talk about it on Facebook with a link and you will get additional chances to win. Just let me know the other things you do to share the good news, so I can put in the right amount of tickets in my basket for you. Sharing on Facebook, Twitter, reblogging really helps spread the word for a new book. Thanks for helping Yevgenia! Left-handed Anya draws with great passion . . . but only when she’s alone. I did not want to write a picture book. I have been illustrating picture books for years, but the idea of writing one did not sit well with me. I was worried about writing in English. I was worried about writing for children. I did not want to adopt a special “children’s voice”, overly cheerful and loud. But when my agent Anna Olswanger suggested that I wrote an autobiographical story, I finally took the plunge. My character Anya, a left-handed artist, is based on me as a child. Anya is told to use her right hand. She tries and succeeds; however, she never learns to draw with her right hand. Her left hand becomes her special drawing hand. Although this is a true story- my story, I was using a left hand only as a metaphor. I was much more interested in Anya’s imaginary world. I was surprised that it was the lefty story that resonated the most with editors and, eventually, the readers. Just like any other book, Anya’s Secret Society begins a life of its own, and I have no power over it. I have always translated words into images, and now for the first time, I’m doing the opposite. I think I am slowly finding a voice of my own. I also feel so lucky that I got to draw all the things that I love: my hometown, Kiev, my adopted hometown, New York City, and many artists, big and small. 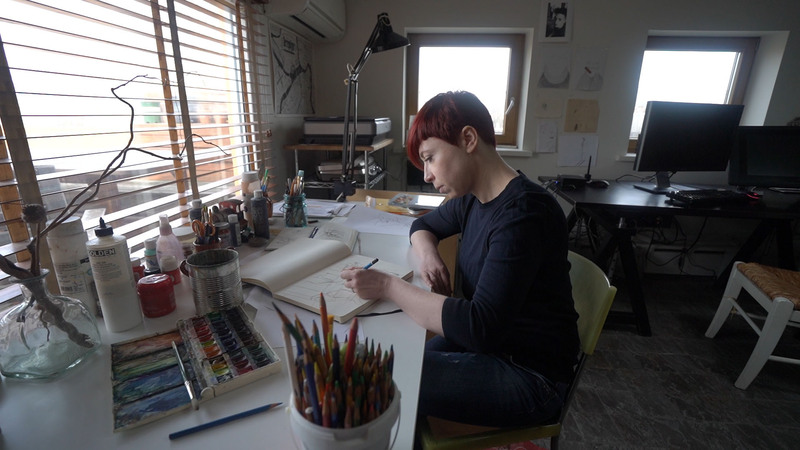 Yevgenia Nayberg is an illustrator, painter, and set and costume designer. Her illustrations have appeared in magazines and picture books, and on theatre posters, music albums, and book covers; her paintings, drawings, and illustrations are held in private collections worldwide. As a set and costume designer, she has been the recipient of numerous awards, including the National Endowment for the Arts/TCG Fellowship for Theatre Designers, the Independent Theatre Award and the Arlin Meyer Award. In 2018 she received a Sydney Taylor Silver Medal for her illustrations for Drop by Drop by Jaqueline Jules. Her next book, Typewriter,will be published in 2020. She lives in New York City. Thank you Yevgenia for sharing your book and journey with us. I love your artwork. This book looks gorgeous. Just found out that you are illustrating Laurie Wallmark’s next book. Can’t wait to see what you do with it. And I look forward to featuring you on Illustrator Saturday. What a wonderful idea for a picture book! What a great post. 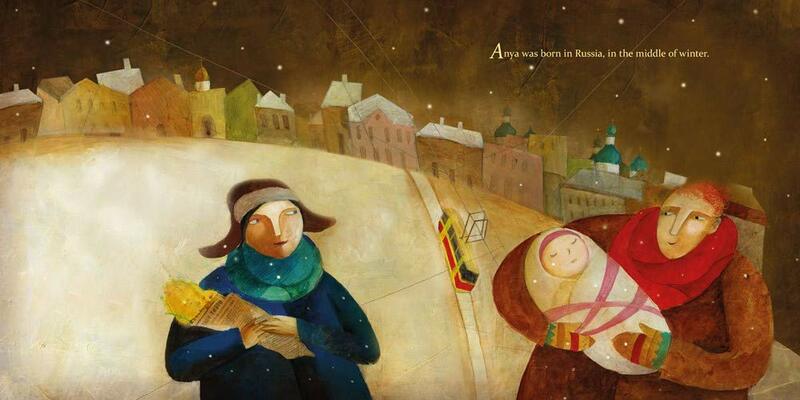 Yevgenia’s book sounds wonderful and her illustrations are fantastic–simply gorgeous. Can’t wait to check it out! Fascinating. A wonderful post. Thanks so much for sharing! What a great concept for a book. The struggle to be who you were born to be-left-handed. That’s a familiar story with my mother. And she grew up here in the United States. My husband has two family members that went through the same experience as well. Congratulations! The story and pictures look amazing. Delightful! I love Yevgenia’s illustrations and can’t wait to read the book. Such a beautiful theme for a children’s book. I’m happy you found your voice to share your story as a children’s book Yevgenia. What a fascinating story! 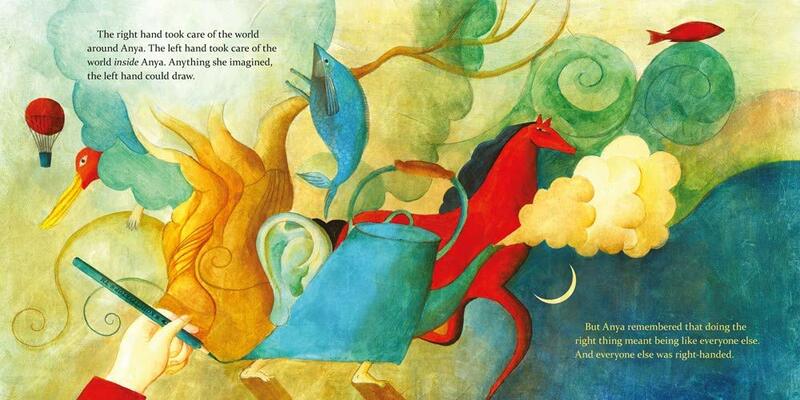 I’m so happy your right & left hands came together to produce this gorgeous new picture book! Wow! As the mom of 2 out of 3 left handed boys…I can’t wait to read this story. We’ve talked about this kind of thing many times. And heard bits and pieces of grandparents who had to change handedness…brilliant idea that looks brilliantly executed! Congratulations! I just love these illustrations, they are so beautiful, as well as the story behind them. My sister is the only one of seven of us that is left handed. So scary that “handed-ism” (if that wasn’t a word, it is now) is still a thing in so many parts of the world. 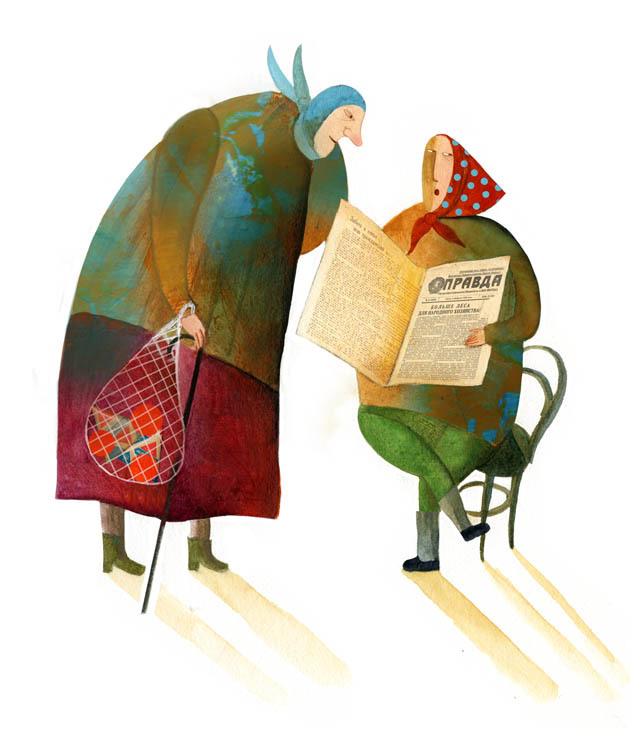 What gorgeous illustrations and great story concept, Yevgenia! Sharing this on Twitter. There are a lot of lefties in my family, and I remember hesring about similar attitudes from older generations. 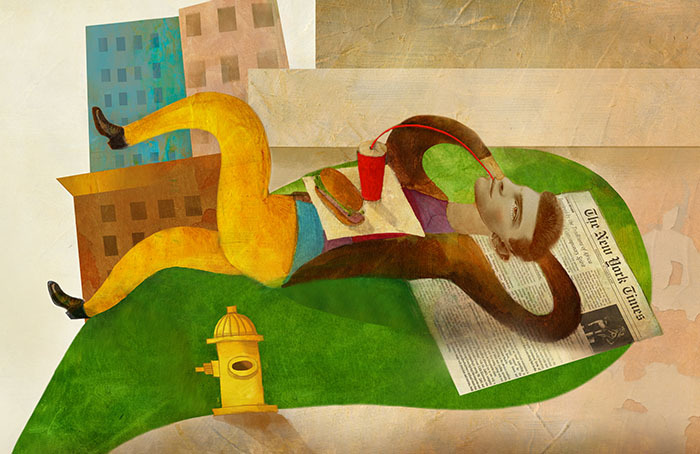 Thank you for sharing your story– and what lovrly illustrations! Fascinating interview and book premise. 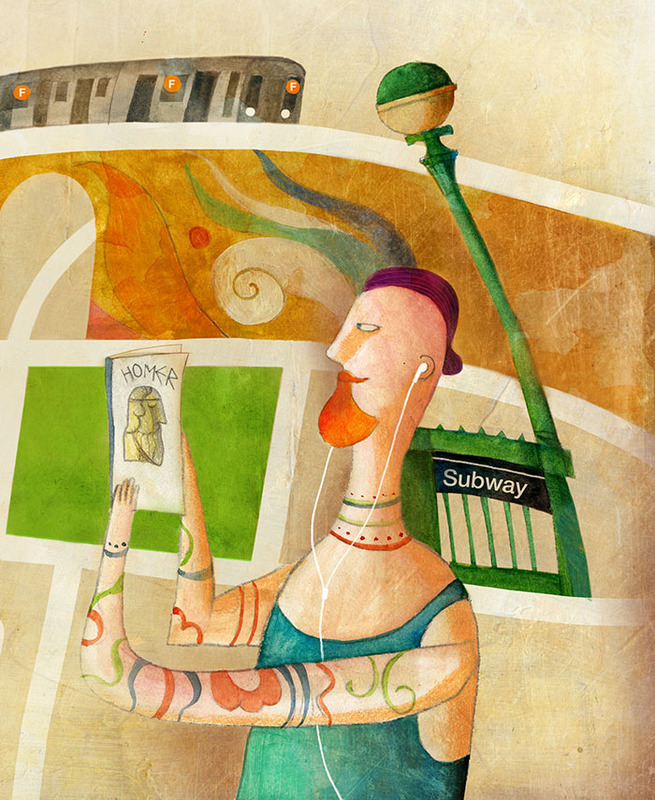 Love the illustrations! Can’t wait to read this one! Congratulations! I love the idea of Anya’s left-handedness having meaning not just in the real world but in her imagination as well!